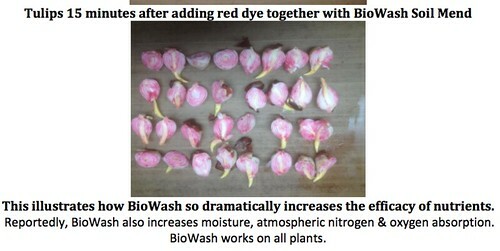 Here is a test that illustrates why BioWash produces such dramatic benefits when used in growing plants. 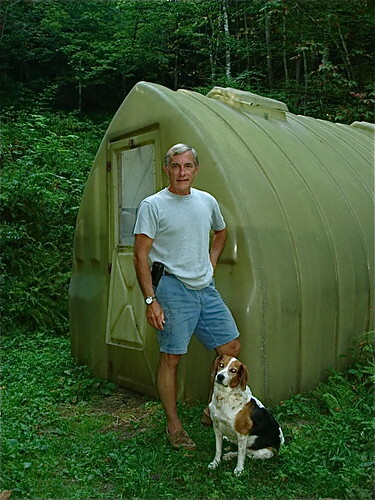 Merri and I have been using (and writing about) Purely Green and BioWash for almost 20 years now. Originally it was one product, manufactured by reader and friend Ted Tidwell. We called it Ted’s Stuff back in the day… a miracle degreaser and cleaner that for some odd reason also helped plants grow. Over the years a scientific understanding of the product grew as Ted’s Stuff evolved into a more concentrated Purely Green, a cleaner we use for just about everything. BioWash and BioWash Soil Amendment were improved and added to Ted’s line for farming and gardening. Demand for these products has grown globally and here is a test from some of the best farmers in the world… the Dutch. I worked in my organic garden yesterday planting Brussels Sprouts and tomatoes. In each planting I added a tiny shot of fish fertilizer and BioWash soil amendment. I have encouraged readers to create multiple streams of income doing something they love. 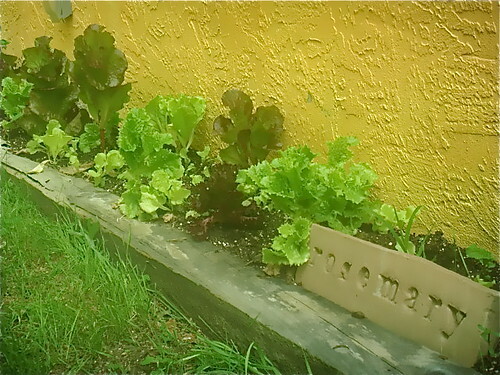 One way to do so is with micro-agriculture projects. I have been involved in agriculture for many years and one of the secrets I use is BioWash, the agricultural solution that has Purely Green as its base. A benefit of Purely Green as a Bio Pesticide comes from the fact that it is not a poison but a degreaser. We have used Purely Green in our North Carolina and Florida homes as well as our rental units. We even shipped it to the Ecuador hotel we purchased and ran for many years. We use it to clean floors and everything thing else, as a shampoo, clothes and dish washing soap, car cleaner as well as ant and bug eradicator because it is so effective and is organic. 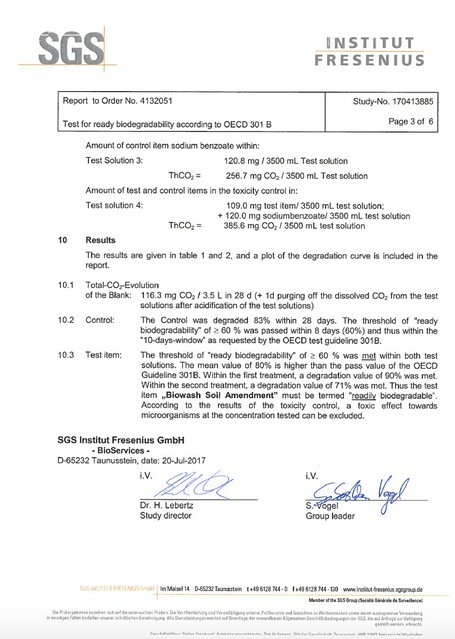 Now we can say so because Purely Green 25 is organic because it was recently registered as an organic pesticide. In addition to being effective both Purely Green and BioWash products are also good for the environment. What more can one ask for, a product that is organic, biodegradable and does just about every cleaning job in the house? Purely Green is exceptionally effective on flies, fleas and mosquitoes. Dog owners use it as shampoo. It not only dissolves fleas and ticks but has a desirable effect on the hair. Cats dislike water, so cat owners soak a cloth with Purely Green, then stoke it on their cats to dissolve the fleas. Horse and cattle owners are replacing the toxic insecticides with Purely Green. They mist it in barns and stables for insect control . It does not irritate animals. Purely Green is a simple cleaning/degreasing solution. BioWash Soil Amend is more complex with equally strong surfactants plus other softening ingredients that make it more suitable for plants. Whether you are looking for a cleaner to replace chemicals in your home, or for a better way to cleanse your fresh food or a safer way to look after flowers or crops, check out Purely Green and BioWash both for effectiveness as well as long term health and environmental benefits. I have written about BioWash multiple times, but decided to offer this product for two reasons. 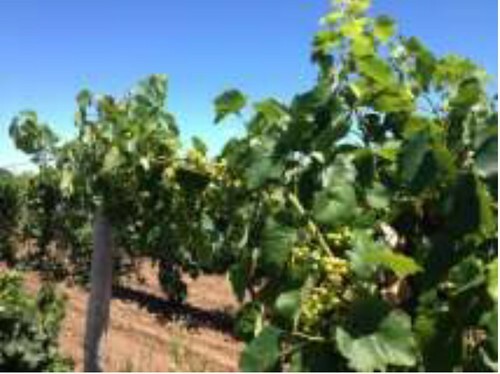 One is the story about how a grape grower invested $150 in Biowash and gained a return of $17,700. The attached BioWash 25 label was just approved as “Suitable for Organic Farming” use, with approval to display the EcoCert logos. 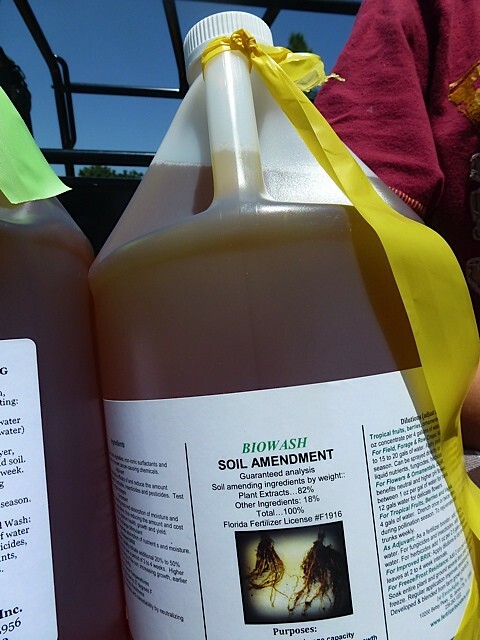 Labels for BioWash 100 and BioWash Soil Amendment (“BioSoil Amend”) approvals are imminent. 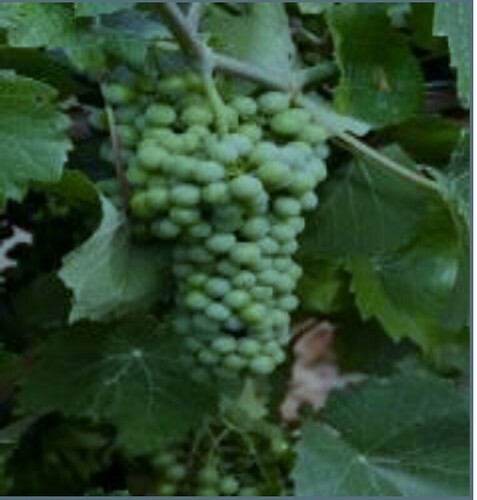 Here is the story of how a grape grower used one gallon of BioWash to earn $17,700. The 2008, 2009, 2010 & 2011 growing seasons were not profitable for Harry Raby of Raby Farms. His four acre vineyard produced not a single grape. He was so disappointed that he told his wife that if it remained barren during the 5th season, he would rip them up and plant alternate crops. Tanya Reid convinced him to apply one gallon ($150) of BioWash. The grapes began to form right away and by mid-season a success was clear. His BioWashed vines yielded 27.4 tons! His sales soared to $17,850.00! After deducting his $150 investment, Harry’s ROI was $17,700! Not bad for a $150 test. BioWash is the “Hi-Yield” solution developed and blended by 1st EnviroSafety that we have been writing about at our website for almost 20 years. The original solution was a degreaser developed to help save birds fouled with oil in the Valdez Oil Spill. We used this solution called Ted’s Stuff, (we named this after our friend Ted Tidwell who manufatures this wonderful stuff) which we used as a cleaner for just about everything. Then we discovered that this was a spray that removed a blight called Wooly Adelgid, from the hemlock trees at our farm in North Carolina. BioWash and BioWash Soil Amendment were formulated based around this degreasing solution and has created some wonderful stories of agricultural success. Here is my own story about BioWash. I followed my own advice and invested in agriculture buying an orange grove. In our first year we sprayed the grove once with BioWash. Production rose to 2,400 boxes despite the fact we eliminated a third of the trees. This means our yield per tree doubled. The next year we sprayed twice with BioWash and this year our production rose to to 3,400 boxes. 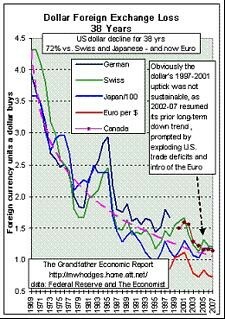 Cations can bring financial stability in an unstable world. The catalyst was Bio Wash. We have more than doubled yields in our grove as the price of oranges has risen since spraying with Bio Wash.
We have been promoting Bio Wash and its formative solutions (we used to call it Ted’s Stuff) because it is such a great product and is wonderful for the environment. We use Ted’s formulas for all our household cleaning. I brush my teeth with it. We spray our Hemlocks at our farm in North Carolina to eradicate the Wooly Adelgid blight and we spray our crops there. Now there is even more good news about this product that might be a catalyst for a way to gain extra earnings (or better gardens and crops) as you help the environment. The news is spelled in the word Cation. To understand the science we start with an Ion. An ion is an atom or molecule in which the total number of electrons is not equal to the total number of protons, giving it a net positive or negative electrical charge. An anion with more electrons than protons, giving it a net negative charge (since electrons are negatively charged and protons are positively charged). Wikipedia says this about cations and soil: A cation is an ion with fewer electrons than protons, giving it a positive charge. In soil science, cation-exchange capacity (CEC) is the maximum quantity of total cations, of any class, that a soil is capable of holding, at a given pH value, for exchanging with the soil solution. CEC is used as a measure of fertility, nutrient retention capacity, and the capacity to protect groundwater from cation contamination. It is expressed as milliequivalent of hydrogen per 100 g (meq+/100g), or the SI unit centi-mol per kg (cmol+/kg). The numeric expression is coincident in both units. Clay and humus have electrostatic surface charges that attract the solution ions, and hold them. This holding capacity varies for the different clay types and clay-blends present in soil, and is very dependent of the proportion of clay+humus that is present in a particular soil. 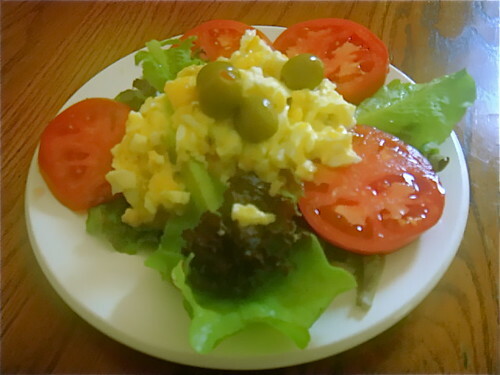 A way to increase CEC is to favor the formation of humus. The higher the CEC, the higher the soil fertility. In short, if you have higher CEC your crops grow better. Bio wash increases the CEC. 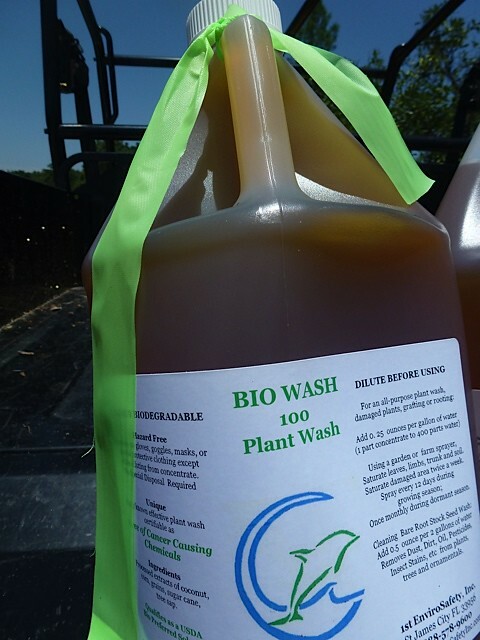 Bio Wash promotes growth. We have been receiving reports like this: Good news. Tanya Reid, NY, BioWashed 35 acres of peach blooms for a grower and saved them from freezing in 26F. cold. Tanya’s neighbor who is a farmer who grows plums, peaches, apples, raspberries, gardens flowers everything…… called our farmer who had success with bio wash freeze protection and is meeting with him today. Harry the farmer said he’ll show him documentation and ride around his property to prove his success……….AWESOME………. we are very excited to say the least….I will be ordering more product I am sure this week like a 55 gallon or a ton of gallons. Tanya also told me this morning that Harry our test farmer told her he was very frustrated about the bad freezing weather coming on the 24th of march. Now he is the center of attention. Another farmer was coming over to look at his trees and marvelous success that has never happened in 165 years! I’M SO EXCITED AND THINK I LIKE IT. I’M ABOUT TO LOSE CONTROL. Another wrote: Justin Wilkinson, Washington, reported three to five full-sized ears per stalk. Now he is planning tests involving money-saving reductions in fertilizer costs. He also enjoyed an extra month of extended grass season, thus reducing the cost of buying hay for his dairy. 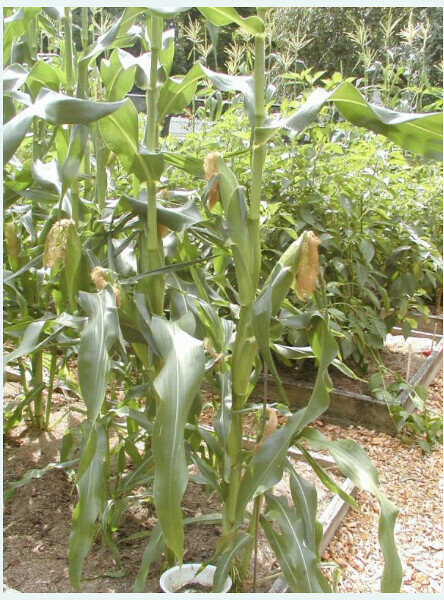 George Behlin,, NY, reported three full sized ears and one stalk with four in his garden. Plus, amazing yields of beans and tomatoes. Henry Morgan, Baton Rouge, reduced his fertilizer by over 50% and reported his greatest vegetable garden in 10 years. Dr. Treloar, Iowa, reported general 20% yield increases on his test crops and had amazing results. 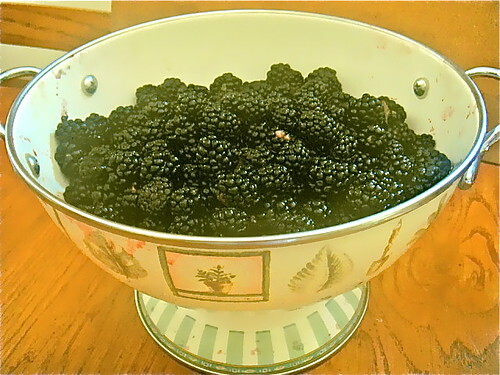 He sprayed some wild blackberries and WOW!The berries grew larger than normal,tasted sweeter,and kept producing longer into the fall which they never done before. Also the vines kept growing until Xmas. The patch he didn’t spray behaved normally, regular size berries and the vines died by the end of October. A young lilac bush that normally has 3-7 flowers/season has 17 new buds forming! Tomatoes plants went crazy. 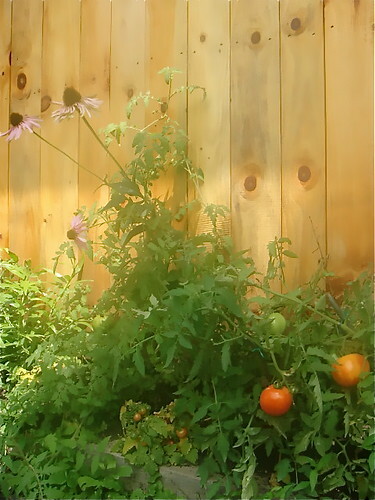 We bought two plants of each type, one to be treated and one not treated.the treated plants produced about 50% more tomatoes.Also as the plants grew shoots, I pinched them off, soaked them in your formula, replanted them(this was in September) and they grew about a foot and produced a few baby sized tomatoes. AMAZING! Bio Wash may also help resist drought. 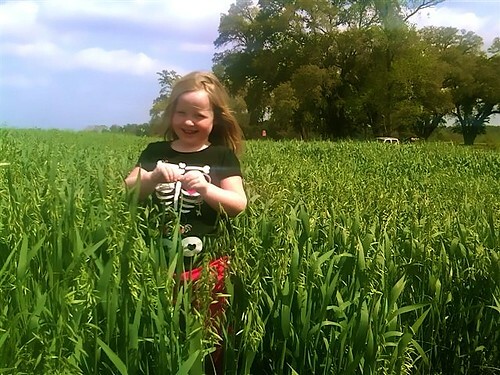 We received this: Alton Holt, Texas, enjoyed record oat yields in spite of last seasons extended drought. He applied no fertilizer nor used irrigation. His protein content measured 24% to 26%, compared to the normal 14% to 16%. How does Bio Wash work? Many highly trained agronomists are puzzled by the “out-of-the-box” yet obvious effectiveness. The basis appears to be the incredibly small size of the sub-atomic particles that are able to penetrate and deliver nutrients to the plant. It is not a fertilizer but apparently increases the cation exchange capacity, electro-magnetic action of the roots and photosynthesis in the leaves. This can improve the yield and increase the BRIX plus as a huge bonus is a natural insect deterrent because it is an exceptionally gentle yet powerful degreaser, it dissolves the lipid cellular membrane of small, soft bodied funguses and insects. The benefits farmers are seeing include the fact that growers can substantially reduce the amount of commercial fertilizers while significantly increasing growth, hardiness and yield. At the same time the chelation of accumulated copper and other inorganics, redeems damaged croplands. Last month, there was a test of the solution against insects on 90 acres of citrus. After 10 days, a Florida state inspector searched but could not find a single Leaf Miner nor Asian Psylid. Most aphids were gone, but a few survived. by 80% and is enjoying the largest yields in ten years of gardening. 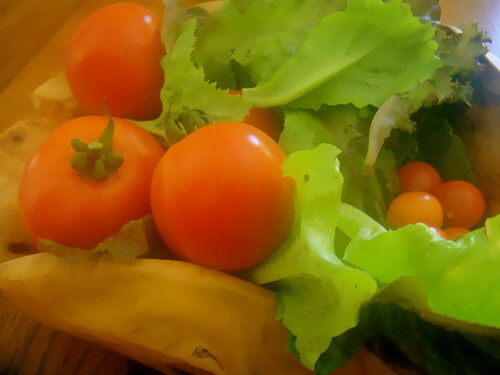 His tomatoes are the largest, sweetest ones he can remember and continued to produce long past the normal harvest season. His pepper plants normally produce about 12 peppers. This year, single plants are producing up to 90 peppers and were still producing in late November! Part of the benefits are likely to be temporary. Bio wash breaks down the unused nutrients that remain in the soil. Eventually growers will need to add additional nutrients. Considering the high costs of fertilizers and the environmental damage being caused by them, growers are welcoming the reduced costs and increased profit margins. Since shipping is such a large part of the cost, BioWash 100 which is far more concentrated, is a far more economical solution than BioWash 25. Since its development in 2003, thousands of delighted growers have reported sensational increases in yields and profits. Even though specific crop yields can never be guaranteed, most growers will see visible growth differences within three weeks and harvests yielding an extra 20%, 25%, 30%, 35%, and sometimes soaring as high as 50%! Dilutions of 1 ounce 4 gallons have produced impressive results. This means that one gallon produces 534 gallons of usable wash. This means at $172 for a gallon (includes shipping) the cost is just a bit over 32 cents per gallon. You cannot beat that price anywhere. 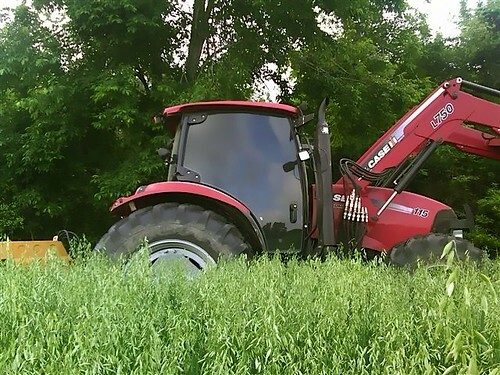 BioWash Soil Amendment is an easily affordable and immediate solution to acidic soils and/or soils clogged by years of insecticide and unused synthetic fertilizer residuals. With only a single application, growers have reported great increases in yields. At one ounce of concentrate per four gallons of water the cost including shipping is just over .34 cents per gallon. Only one sufficient application is needed until additional contaminants are added. We have written many times about the benefits of Purely Green and BioWash and the good these products can bring to the garden and environment. Here I am with our old growth hemlocks, we call the Grandfathers. These hemlocks have been attacked by the Wooly Adelgid blight on the US East coast and though many have died, we have saved many, many of ours with Purely Green. However, I would like to stress that the original purpose of this product was as a degreaser. Purely Green was created to help degrease birds from the Valduz oil spill. It was effective on cleaning the birds on a fast low stress way. It is biodegradable so the process does not harm the water. The basic science is that Purely Green is composed of such small molecules it cuts through grease and coats surfaces so the grease simply lifts off. I figured that fatty lipids are a type of oil and tested Purely Green on the Wooly Adelgid. The liquid soaks right though the cocoons and degreases the fatty lipids in the insect. The arborist we worked with used a microscope to watch the process and was amazed and very excited. 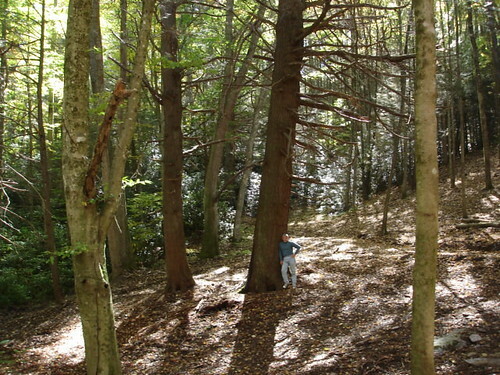 He has since treated thousands of hemlocks in the area. Then I figured out that if it dissolved insects in a cocoon, it might also dissolve them out of one. I tested spraying Purely Green on ants. Instantly dead! Purely Green is not an insecticide but it dissolves the fatty lipids and that makes the insect dead anyway. Since that test, I spray my flowers and garden with BioWash. Purely Green is the original cleaning formula. BioWash contains gentler surfactants and more vegetable oils. Now there is an interesting experiment going on with BioWash Soil Amendment. BioWash Soil Amendment is BioWash on steroids, encompassing some out-of-the-box quantum chemistry. This most exciting test apparently reduces the insect population in coffee farms via systemic applications of BioWash Soil Amendment via the root system. It appears that ingesting leaves or seeds or juices containing Soil Amendment may dissolve the insect’s internal organs. The manufacturer of BioWash, Ted Tidwell, wrote: “In Central America, a difficult beetle is destroying the coffee industry. A business there is treating a beetle while inside the coffee bean systemically by soaking the coffee tree roots. “The Central American coffee growers face a devastating insect plague caused by the coffee borer beetle locally known as “Broca”. The female beetle lays her in the young coffee cherry and as the young beetles mature, they literally eat the coffee cherry from within. This is a prolific problem as several generations of beetle can live within the same coffee cherry. “The growers had been using a chemical treatment for the Broca beetle that because of the harshness of this chemical, is restricted to three applications per year. While the chemical treatment yields a near 100% kill rate of the beetles, new beetles return shortly thereafter to re-infect the coffee cherries. The Insecta Pro did have a slower kill rate but it did have an increased effect after each use that carried over as it was absorbed into the plant’s tissue and phloem. After the chemical treatments had been exhausted, the growers continued with the Insecta Pro treatments every 30 days at a rate of 450/ 1 sprayed directly onto the coffee cherries, branches and surrounding soil. These growers have also taken our recommendation to wash the coffee cherries after harvest and before they are transported to avoid further infection in route to the processing facilities. 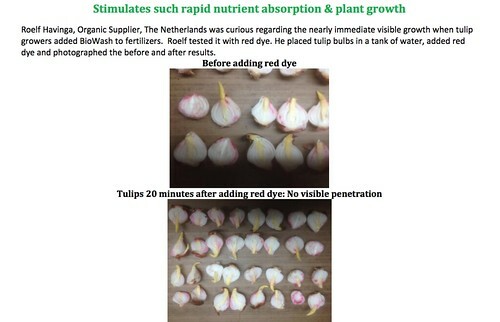 Additionally, these same growers are now using this system in their nurseries from seed to seedling to inoculate the young plants prior to exposing them to these epidemics in the fields at planting. “If it works in coffee, its logical that it could work on all vegetation. “Other farmers have gained benefits with dramatic vegetable yield increases by soaking his soil with Soil Amendment before planting. Significantly, his previous crops required weekly insecticide applications but this test crop required no insecticides. “More testing and experience is needed for verification but if proven, this avoids air pollution from spraying airborne toxins. “This would eliminate the need of depositing millions of tons of toxic insecticides into the atmosphere. Obviously, the positive environmental impact will be huge. A full report is attached (1). This is why we decided to start offering Purely Green, BioWash and BioWash Soil Amendment at our site. You can see more below. Somewhere around 20 years ago, a delegate at a seminar, Ted Tidwell, gave me a bottle of solution called “Ecologically Safe Colloidal Multi Purpose Degreaser”. Some time after, in the process of cleaning pitch covered hands from farm work I tried it. The pitch from the pine trees melted away. I was hooked. This was an organic, bio-degradable cleaner, that was environmentally safe, less expensive and it worked better than any other cleaner I had, by magnitudes of scale. We started using it for all cleaning, the house, equipment and cars. We used it the washing machine, dishwasher and just about everywhere we clean. We hauled it to Ecuador and used it in our hotel, even helped set up an Ecuador distributorship for the solution. Then I discovered it dissolved the habitat of the Wooly Adelgid, a blight that has been devastating hemlock trees. We saved hundreds of these magnificent softwoods and introduced it to an arborist who saved thousands more. Ted became a good friend and we have promoted Ted’s Stuff over these many years. We called this special liquid “Ted’s Stuff” because who can keep saying or writing “Ecologically Safe Colloidal Multi Purpose Degreaser? Ted worked tirelessly to improve his product because, like so many good things in this world, there were others (aka chemical companies) who had vested interests in inferior, often toxic, products. 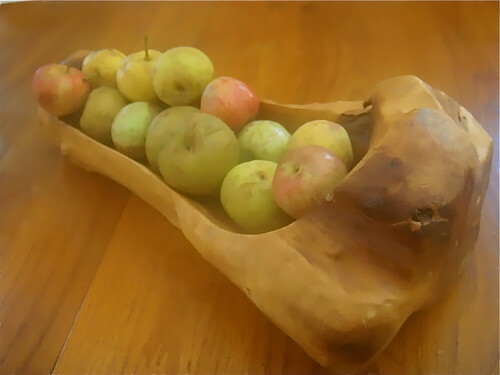 The usefulness of “Ted’s Stuff” evolved in two directions as Ted and a small cadre of dedicated users discovered additional uses in cleaning as well as farming and agriculture. Two product lines grew, Purely Green, an amazing cleaner and BioWash and BioWash Soil amendment, a plant energizer and fertilizer booster. These products, after jumping through many hoops, became organically certified. Merri and I use them both, all these years. Here is one of my own stories about Biowash beyond saving many of our hemlcoks. I invested in agriculture buying an orange grove. The year I made the purchase the grove harvested just over 1,800 boxes. In our first year we sprayed the grove once with BioWash. Production rose to 2,400 boxes despite the fact we eliminated a third of the trees. This meant our yield per tree doubled. The next year we sprayed twice with BioWash and this year our production rose to to 3,400 boxes. This was amazing but the year after the BioWash treatment did not produce additional results. The explanation below explains why and shows how to use BioWash effectively. 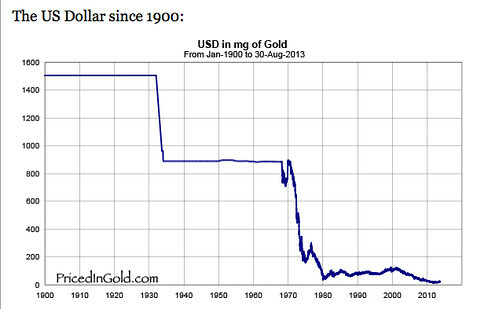 The simple answer is “no”….. at least not for very long. BioWash is a plant energizer. The way it accomplishes its job is to break down nutrients and minerals that are already in the soil (residual from past years or from nutrients and minerals added to the soil during the planting season) into nano-sized particles. This makes the nutrients and minerals more bio-available to the plant, freeing up plant energy for the important work of photosynthesis. Some new clients are so excited about the “initial boost” in growth and yield they see during the first season BioWash is applied, they assume” BioWash will continue to do that into perpetuity, all by itself. The fact is that unless growers have their soil analyzed to see what it needs to be productive and then work to add those necessary elements, the boost they’ll see with BioWash is indeed temporary. One can expect that, without proper feeding, BioWash treated crops will experience a down-turn in yield after the end of the first or second season of its use. This is because by the end of the second year, BioWash will have exhausted all the residual nutrients in the soil. That is what it’s designed to do: to optimize the uptake of nutrients and minerals by plants; and it does its job very well. You’ll read about many incredible ideas and products at our site. How to lose weight just by chewing differently. How to be smarter listening to certain music. How to use essential oils to reduce toxicity. How to earn extra income with multi-dimensional businesses. 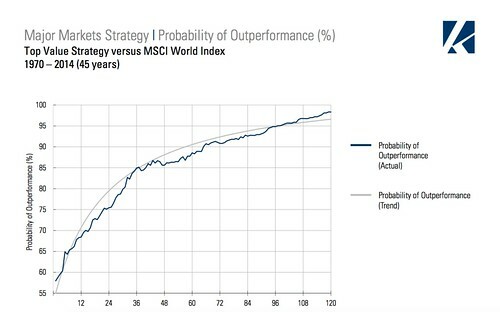 How to invest in thousands of good value shares global with $9.95. How to eat healthy chocolate brownies made from avocados. How to buy secret valuable land at affordable prices. These are all insights you will not find anywhere else. I consider Bio Wash on of the most important. If you farm or have a garden you should give BioWash a try. Purely Green is a great way to remove dangerous chemicals from the home, and improve the ability to clean at the same time. This year I am doing experiments with BioWash, on ginseng, goldenseal, corn, beans, squash and wild blackberries. I’ll keep you informed. Having a business in water offers value and makes sense… plus can really help the world. 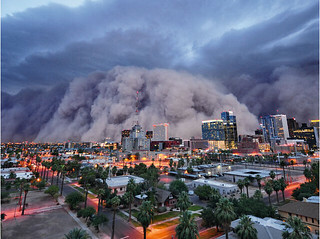 This photo by Daniel Bryant in the September 2012 National Geographic article “What’s Up With the Weather?” by Peter Miller shows the biggest dust storm in living memory rolling into Phoenix on July 5, 2011.
terrible floods on the Mississippi. This article says: There’s been a change in the weather. Extreme events like the Nashville flood—described by officials as a once-in-a-millennium occurrence—are happening more frequently than they used to. A month before Nashville, torrential downpours dumped 11 inches of rain on Rio de Janeiro in 24 hours, triggering mud slides that buried hundreds. About three months after Nashville, record rains in Pakistan caused flooding that affected more than 20 million people. In late 2011 floods in Thailand submerged hundreds of factories near Bangkok, creating a worldwide shortage of computer hard drives. And it’s not just heavy rains that are making headlines. During the past decade we’ve also seen severe droughts in places like Texas, Australia, and Russia, as well as in East Africa, where tens of thousands have taken refuge in camps. Deadly heat waves have hit Europe, and record numbers of tornadoes have ripped across the United States. Losses from such events helped push the cost of weather disasters in 2011 to an estimated $150 billion worldwide, a roughly 25 percent jump from the previous year. In the U.S. last year a record 14 events caused a billion dollars or more of damage each, far exceeding the previous record of nine such disasters in 2008. What’s going on? Are these extreme events signals of a dangerous, human-made shift in Earth’s climate? Or are we just going through a natural stretch of bad luck? The short answer is: probably both. The primary forces driving recent disasters have been natural climate cycles, especially El Niño and La Niña. Scientists have learned a lot during the past few decades about how that strange seesaw in the equatorial Pacific affects weather worldwide. During an El Niño a giant pool of warm water that normally sits in the central Pacific surges east all the way to South America; during a La Niña it shrinks and retreats into the western Pacific. Heat and water vapor coming off the warm pool generate thunderstorms so powerful and towering that their influence extends out of the tropics to the jet streams that blow across the middle latitudes. As the warm pool shifts back and forth along the Equator, the wavy paths of the jet streams shift north and south—which changes the tracks that storms follow across the continents. An El Niño tends to push drenching storms over the southern U.S. and Peru while visiting drought and fire on Australia. In a La Niña the rains flood Australia and fail in the American Southwest and Texas—and in even more distant places like East Africa. 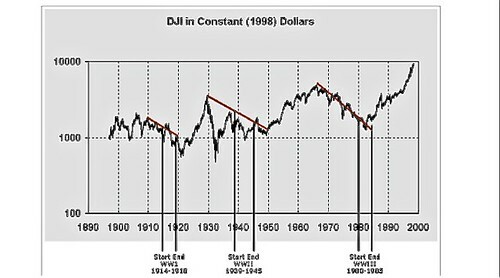 But natural cycles can’t by themselves explain the recent streak of record-breaking disasters. Something else is happening too: The Earth is steadily getting warmer, with significantly more moisture in the atmosphere. Decades of observations from the summit of Mauna Loa in Hawaii, as well as from thousands of other weather stations, satellites, ships, buoys, deep-ocean probes, and balloons, show that a long-term buildup of greenhouse gases in the atmosphere is trapping heat and warming up the land, oceans, and atmosphere. Although some places, notably the Arctic, are warming faster than others, the average surface temperature worldwide has risen nearly one degree Fahrenheit in the past four decades. In 2010 it reached 58.12°F, tying the record set in 2005. As moisture in the atmosphere has increased, rainfall has intensified. The amount of rain falling in intense downpours—the heaviest one percent of rain events—has increased by nearly 20 percent during the past century in the U.S. “You’re getting more rain from a given storm now than you would have 30 or 40 years ago,” says Gerald Meehl, a senior scientist at the National Center for Atmospheric Research in Boulder, Colorado. Global warming, he says, has changed the odds for extreme weather. 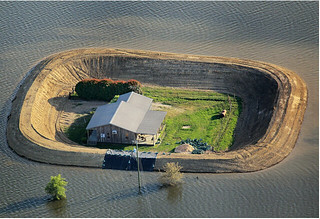 Fortified by a levee, a house near Vicksburg survives a Yazoo River flood in May 2011. Snowmelt and intense rains—eight times as much rainfall as usual in parts of the Mississippi River watershed—triggered floods that caused three to four billion dollars in damages. This site has reviewed many benefits of the nano technology that is used in the Purely Green and Bio Wash bio degradable cleaners and fertilizer booster. We have used this ourselves in so many ways for more than a decade… brushing our teeth, in the bath, cleaning the dishes, all household and farm equipment degreasing and cleaning, cleaning, to kill the Wooly Adelgid blight on our hemlocks in North Carolina and to boost production of our orange grove. the oat field that prospered during a serious drought. With the onset of even more serious drought conditions across North America I am posting this note from Ted Tidwell as a community service. Farmers across America are threatened with disaster unless quick action is taken. Crops are dying. Entire incomes are in jeopardy. Food prices could soar. Prior experience indicates that BioWash may offer the solution to the crisis. Read On! During the worst drought Texas ever experienced …… Cattle Rancher Alton Holt BioWashed his 90 acre oat crop. While all neighboring growers were losing their oats, Alton enjoyed his highest oat yield ever experienced on that acreage AND increased his oat protein content by 8 to 10 percentage points. What was the difference between Alton’s crop success and his neighbors’ crop failure? BioWash!! Alton sprayed his oats with BioWash 100, diluted at the rate of five (5) ounces BioWash per 30 gallons of water, per acre. After spraying he went traveling for several months. Upon his return, he was amazed. We cannot guarantee that all drought-stricken crops can be saved by BioWash or that all farmers will enjoy Alton Holt’s phenomenal results. However, at an investment of less than $6 per acre, how can you pass up the opportunity? Take an opportunity to review Alton Holt’s pictures and the oat protein results after applying BioWash. BioWash may help your crops survive this current, unprecendented drought. THE PROOF IS IN THE OATS! Without BioWash, the oat fields adjacent to Alton Hope’s BioWashed field were completely unproductive. The fields were opened to browsing by cattle because there were insufficient oats to harvest. After BioWashing, Alton Holt’s 90 acres produced the largest oat crop yield ever. The oats also reflected the highest protein content Holt had ever experienced. All this DESPITE the severe Texas drought conditions in 2011. Visit www.fertilizerboosters.com for more information. OAT PROTEIN INCREASED – DESPITE DROUGHT CONDITIONS! The average normal crude protein range for oats is between 13.70% and 23.82%. 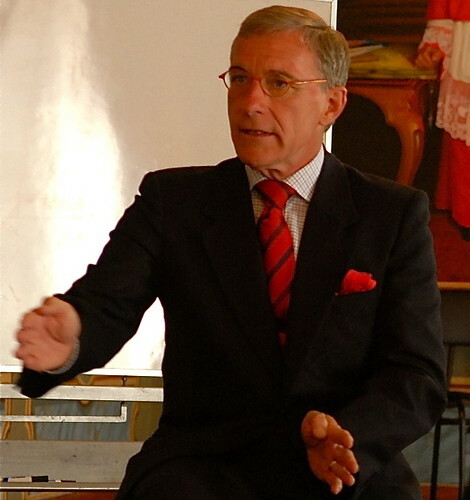 Alton Holt reported that his oats in the past have contained about 16% protein. After BioWashing his 90 acres, lab analysis reflected Alton’s oats to contain upwards of 24% protein! Iowa farmer Bob Treloar concluded that one of the best defenses against drought is the BioWash success in creating larger, stronger root systems. For increased yields and higher profits, even during drought conditions, try BioWash today! You can order BioWash from our website at www.fertilizerboosters.com or call us at 239-283-1222 (M-F from 9:00-5:00). There are three ways to solve most “shortage of commodity” problems… Find new supply… reduce demand… or find new technologies that reduce demand. Bio Wash is a technology that can help reduce the demand for water. Go to Part IV of “Investing in Water” – Click here. Learn how to earn as a distributor of Bio Wash at our Super Thinking + International Business and Investing Seminar in Montreal.